The global function as a service (FaaS) market has been witnessing a huge growth over the last few years. The factors responsible for the growing adoption of FaaS include agility and scalability features and growing demand for serverless architecture. The FaaS platform provides organizations with auto-scalable architecture and helps in reducing costs as the resources are adjusted according to the requirement of an application. It also eliminates the need to manage servers on cloud and replace them with pervasive use of functional computing resources. Therefore, the cost efficiency of the FaaS architecture is driving the growth of function as a service market. However, complex architecture and security concerns are restraining the market for function as a service on a global scale. 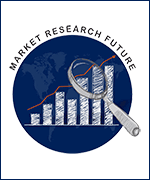 The global function as a service market is expected to reach approximately USD 11,932.95 million by 2023, growing at a CAGR of 34.32% from 2017 to 2023. The market has been divided into various segments based on user type, deployment type, service, application, vertical, and region. By user type, the market is segmented into developer-centric and operator-centric. The approach of function as a service platform is designed according to the user type so that the entire code can be executed as a single function. Function as a service is a developer-centric architecture that lets the cloud functions to build and deploy services at the level of a single function. It also provides a connective layer of logic that enables the developers to write code to connect and extend cloud services. Operator-centric approach features a specialized operator that processes data as would any other relational operator. In operator-based function as a service, the operator decides the need to increase or decrease the container count. By deployment type, the market is segmented into public, private, and hybrid cloud. Function as a service indicates computing without a physical server i.e. via serverless architecture. The software developers take advantage of this to deploy an individual ’function’, action, or piece of business logic. Function as service is trending among developers, as many developers are adopting function as a service platform for developing new applications. By services, the market is broadly classified into automation & integration, microservice monitoring & management services, API management services, support & maintenance services and training & consulting. Microservices are designed to speed up deployment cycles, foster innovation, and ownership, and improve maintainability and scalability of software applications which enable them to significantly contribute to the market growth. The application segment is broadly classified into web & mobile based, research & academic and other applications. The web and mobile based applications are significantly contributing to the FaaS market. FaaS requires less management and provides application servers, storage, databases, content delivery, cache, search, and other application services that make it easier to build and run applications. FaaS is implemented at mobile backend processing which are set of HTTP APIs that are initialized from a mobile client using the WebHook URL. The vertical segment in the function as a service market comprises manufacturing, BFSI, retail, IT & telecommunication, government, medical and others. The digital revolution today demands industrial manufacturers to adapt and develop leading edge ’operations and supplier collaboration’ ecosystems. This includes the need to develop smart products, roll out platforms for collaboration leading to reduced cost and enhance service capability due to which manufacturing services are leading the FaaS market. The key players of function as a service market include IBM Corporation (US), Google Inc. (US), Microsoft Corporation (US), Amazon Web Services (US), SAP SE (Germany), Dynatrace LLC (US), Infosys Ltd. (India), Rogue Wave Software Inc. (US), TIBCO Software Inc. (US) and Fiorano Software & Affiliates (US). Geographically, North America has been projected to hold the largest market share in the global function as a service market followed by Europe. Whereas, Asia-Pacific is expected to be the fastest growing region for function as a service market with a CAGR of 37.70%. ?